National Wildlife Federation helps take the family cookout one step further with the Great American Backyard Campout on June 22. Studies show that outdoor time helps children grow lean and strong, enhances creativity, and attention spans. 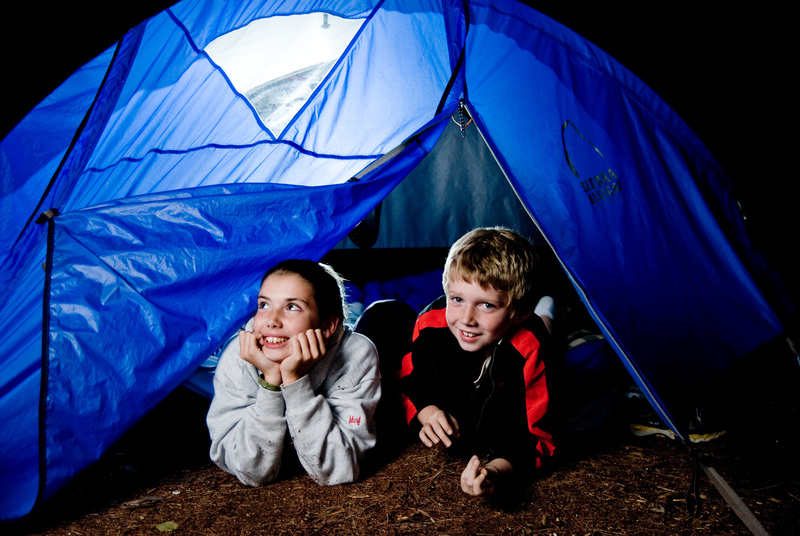 With special events like Campout, NWF is helping parents turn their inside kids out. As the summer season kicks off, what better way to enjoy the great outdoors and family time than cooking and camping out in the backyard? As part of National Wildlife Federation’s Be Out There movement, the 9th annual Great American Backyard Campout on June 22, 2013 is the perfect opportunity to head outside for some great food and family fun this summer. From cookout recipes to campfire songs to games to wildlife watching tips, NWF gives families resources to take a summer cookout to the next level by making it a summer campout. No yard or grill? No problem. It’s no secret that camping and s’mores go together like baseball and hotdogs (another excellent campfire food), but there is so much more to camp cuisine. Here are just a couple examples of the perfect Campout. Pigs in a Sleeping Blanket: For an easy twist on the classic campfire hotdog take an 11 ounce can of breadstick dough, slice each dough strip in half and wrap each strip around a hotdog leaving a small area uncovered for the face. Roast over the fire until the hotdog and bread are cooked, let cool, then use ketchup and mustard to make fun faces. Silver Turtles: This hearty option is a simple way to fill campers’ stomachs. Simply place a hamburger patty in a piece of aluminum foil and top it with potatoes, carrots, onions, salt, pepper and a pad of butter. Fold the foil tightly around the turtle and cook over the coals for 20 minutes or until cooked thoroughly, then let cool and enjoy. For a side dish, try wrapping corn on the cob or whole potatoes in foil for delicious grilled corn or baked potatoes. Remember to let them cool then add your favorite toppings. Gourmet Lasagna: If you’re up for some Italian, try this easy Dutch oven recipe for lasagna. Start by pouring a thin layer of spaghetti sauce on the bottom of the Dutch oven and add a little water. Then cover with lasagna noodles and a layer of ricotta or cottage cheese and chopped spinach and add another layer of sauce to top it off and repeat the layering until you reach the top of your pot. Top the lasagna off with sauce, mozzarella and parmesan cheese, cover and let bake for 30 minutes. For a more meaty dish try adding pepperoni or ground beef between the layers. Dipped Strawberries: Dip strawberries in Marshmallow Fluff and roast over the fire. Orange-Chocolate Cake: Hollow out oranges, fill (about half way) with chocolate cake mix, wrap in foil and heat in the hot coals for about 20 minutes. Singing Apples: Place an apple on a cooking stick and roast over hot coals until the peel starts to split and “sing.” Carefully remove the peel and roll apple in cinnamon-sugar. In the backyard, together with neighbors, with friends at a local park, or at a large community event, NWF encourages parents and kids alike to trade screen time for green time by spending a night under the stars. Studies show that outdoor time helps children grow lean and strong, enhances creativity and attention spans, decreases aggression, and boosts classroom performance. Through the Be Out There movement with special events like Campout and practical resources, tips and tools, NWF is helping parents turn inside kids out. So gather the family and friends and bring an appetite for a great night under the stars June 22, 2013. Fun and adventure are only as far as the backyard, so go camping! Visit http://www.backyardcampout.org for more information, to register or to find a public event around the country. 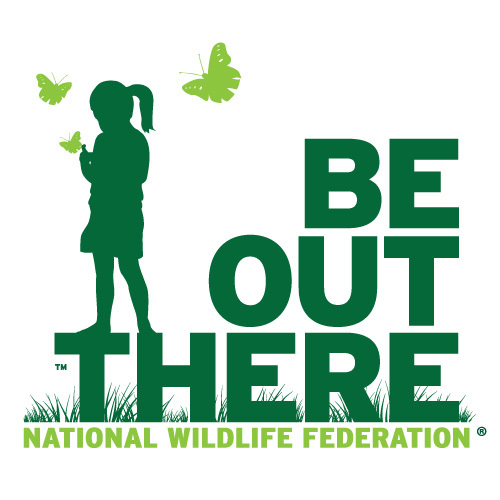 Be Out There™ is NWF’s movement to reconnect families with the outdoors. NWF’s practical tools and information help make being outside a fun, healthy and automatic part of everyday life.. For other helpful resources and to learn more about NWF’s goal to get 10 million more kids spending regular time in the great outdoors, visit: http://www.BeOutThere.org. For more National Wildlife Federation news, visit: http://www.nwf.org/news. National Wildlife Federation (NWF) is America’s largest conservation organization, inspiring Americans to protect wildlife for our children’s future. For more information, please visit: http://www.nwf.org. Let's Go Camping Camping under the stars is fun.